Every pair of quality sunglasses that Shades Emporium sells is 100% authentic, brand-name merchandise backed by the full manufacturer's warranty. Our suppliers are the very same suppliers who provide the high end retailers like Saks Fifth Avenue, Neiman Marcus, Bloomingdales, and others. In fact, the only difference between Shades Emporium and these retailers is our price. Because we don't have the overhead associated with multi-million dollar retail locations, we can give you a a low price you won't be able to find anywhere else! At Shades Emporium, we always carry the latest collections and styles from all of your favorite brands, so you can be sure to find exactly what you're looking for. All sunglasses are brand-new and factory packed by the manufacturer, complete with the original case (soft or hard, depending on the manufacturer's choice. Please note that occasionally the manufacturer could send sunglasses without the case. These cases are rear but yet outside of ShadesEmporium control.) and warranty card. At Shades Emporium, we strive to make your purchase easy and worry-free. If you are not completely satisfied with your purchase, just return it for a prompt and courteous refund. 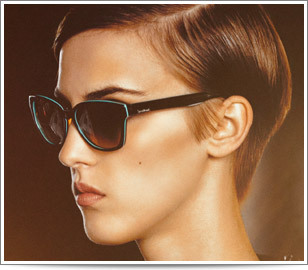 Shades Emporium guarantees that every pair of sunglasses we sell are 100% authentic brand-name, brand new merchandise. We only work with authorized vendors, so you can be assured that our merchandise is authentic. A $25,000 Purchase Guarantee. Norton will reimburse you up to $25,000 in the event there is an unresolved problem with your purchase. $100 Price Guarantee. If, within 30 days of your purchase, we lower our price on the item, Norton will pay you the difference, up to $100. 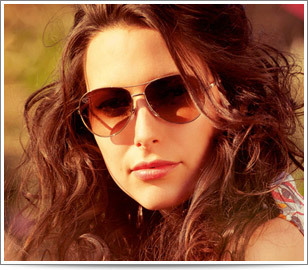 At Shades Emporium, we guarantee you cannot beat our prices. If you find a lower price on the same shades before you buy with us, we'll match the competitor's price AND give you a $20 discount that you can apply toward your next purchase with us. Certain restrictions apply. Please check our Price Matching page here. At SHADES EMPORIUM, your satisfaction is our goal. We want you to be 100% fully and completely satisfied when you do business with us. Whether you have purchased with us many times before, or whether this is your first time shopping at Shades Emporium, you can order with confidence. And because we know you're excited to receive your new sunglasses, we process and ship orders every day (except Saturdays and Sundays) so you can have your shades as quickly as possible. We are here to make your online shopping experience a great one. We also provide you with full, professional call center support and online support. We have online chat and toll-free telephone support at (800) 685-6184, where you can speak with trained eyewear specialists who are experts in every brand we carry. SHADES EMPORIUM is committed to maintaining the security and privacy of your personal information at all times, both during and after your purchase. Shopping with SHADES EMPORIUM is 100% secure. Your credit card details and personal information is protected by industry-standard Secure Sockets Layer (SSL) technology with 256-bit encryption of critically sensitive information. That means information passed between your computer and SHADES EMPORIUM cannot be read in the event someone else intercepts it. Plus, every purchase from Shades Emporium is backed by Norton, so you can enjoy the most secure shopping experience available. For more information about Norton, click here. If you are not 100% satisfied with your purchase, you may return the unused item(s) within 30 days of shipping date for an exchange or credit. For more information about returning your purchase, please visit our RETURN POLICIES page. Warranties against defects in materials and/or workmanship are established and honored by the manufacturer for one year. A manufacturer's warranty card accompanies each pair of sunglasses we ship. Please note that no manufacturer warrants against scratches on sunglass lenses.